Keeping your pet healthy has never been so easy! Review your pet’s immunization records, medications and more. 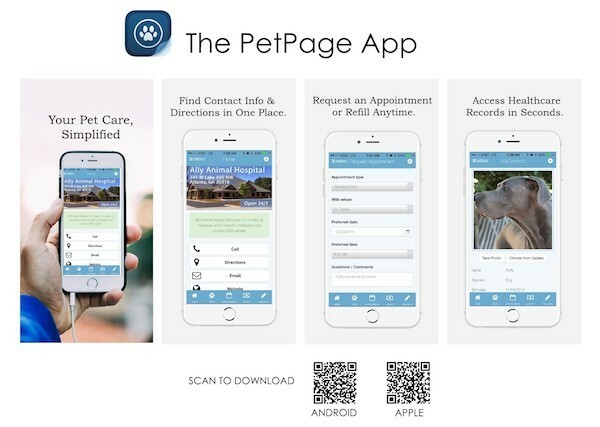 PetPage is designed to let you access your pet’s health resources when you need them most. Don't have PetPage yet? To sign up for or log in to the desktop version, click the flyer above. For the app, click either of the links below. If you have any difficulty, give us a call and we will help point you in the right direction!